Blockchain now has a serious competitor: Hashgraph, a distributed ledger technology (DLT) that claims to be faster and more efficient is about to take centre stage. 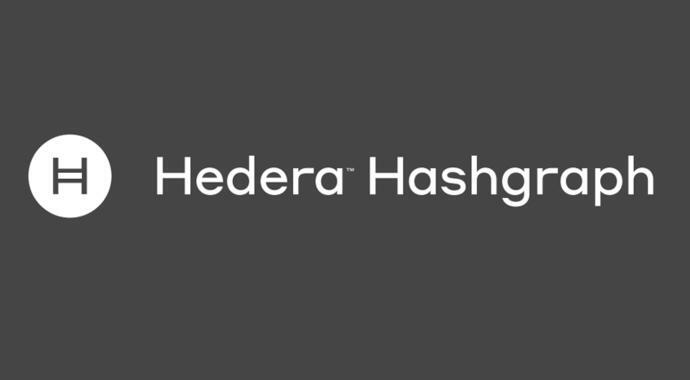 The company behind its development, Hedera Hashgraph, has raised US$100 million to enhance the distribution and development of its Hashgraph-powered public distributed ledger platform and network. Hedera will use the funding to develop key services such as cryptocurrency, file storage service, and a smart contract platform, and plans to launch the network within the next month. In an email interview with e27, Hedera’s Head of APAC, Edgar Seah, says the company has a keen interest in Southeast Asia and will announce the launch of its Singapore office soon. “We believe Southeast Asia, and Singapore in particular, is a leader in blockchain and distributed ledger innovation … the Southeast Asia region is of great importance to us and [these markets] are hotbeds for innovation in this space. We are very committed to the region,” says Seah. 37 per cent of funding for its latest round came from APAC, he says. The Hedera governing council provides expertise and guidance on business decisions that govern the network. The council is made up of members that hail from all over the globe including Australia, Asia and the United States. Its governing terms ensure “no single member, or small group of members, will have undue influence over the body as a whole,” says Seah. Hedera aims to grow a body of 39 council members and says it already has Letters of Intent (LOI) from 19 organisations. Also Read: Is blockchain the answer to China’s vaccine woes? Currently, Hedera has 5 employees based in Southeast Asia. Over the next year, it expects to have up to 15 team members in at least Singapore, Hong Kong, Korea, Japan and China. Seah says that a Singapore-based startup called TrakInvest, a social trading platform, has already committed to building applications on the Hashgraph network. Hedera runs meetups in Singapore on average once a quarter, and it also runs meetups in Hong Kong, Seoul and Tokyo. Seah says the company will be running a hackathon in Singapore in October. Hedera will also be conducting an accredited investor crowdsale, targeted at raising US$20 million. It will close when the target is reached, or August 15th, whichever comes earlier. So, what exactly is this Hashgraph algorithm? And more importantly, how is it supposedly superior to Blockchain? “Hashgraph is a consensus algorithm, in the same way that proof of work blockchain is a consensus algorithm, but without the heavy energy and computational power requirements,” says Seah. “The benefits of hashgraph over blockchain is that it is lightning fast — achieving speeds of hundreds of thousands of transactions per second in a single shard, vs. bitcoin blockchain speeds of single-digit transactions per second),” he says, citing speed tests in a whitepaper. For comparison, the Bitcoin blockchain network can only process up to 4 transactions per seconds, while the Ethereum blockchain network can process up to 15. It is also, however, important to note that Hashgraph network has not been launched publicly. Seah says the algorithm has been used in private, permission-based ledgers by enterprise clients since early 2017. But it’s fair to say that no one knows for certain how well it will perform in a public network. Seah also cites other advantages of the Hashgraph network, such as its security, fairness and efficiency. As long as two-third of the participating members are honest and have reliable clocks on their computer, the timestamp itself will be considered honest and reliable. Blockchain also features timestamps but it only reflects the timestamp of the miner’s computer. In addition, the consensus order of each transaction is determined by the internet speeds of the miners’ computers — which is a fair way to compete. Seah says there are multiple aspects to the question of hashgraph’s efficiency. “In proof-of-work (PoW) blockchain, some blocks are mined and are later discarded. In hashgraph, every event that is gossiped to the community is kept so the efficiency is 100 per cent. No resources are ever wasted on discarded blocks because no blocks are ever discarded,” he says. “Hashgraph adds only minimal overhead in bandwidth — it sends the minimum amount of data to represent an event (transaction payload + timestamp + signature), then adds a tiny overhead of two hashes (node’s hash and parent event’s hash),” says Seah. “In relation to CPU (or GPU) cycles, PoW is extremely intensive on memory for the purpose of calculating the hash puzzle. Conversely, hashgraph doesn’t require PoW and only uses the necessary CPU and memory to update the state,” he says. “We don’t know if hashgraph will usurp blockchain, but the properties of hashgraph are objectively superior to blockchain,” concludes Seah. The post Hedera Hashgraph claims its tech is superior to blockchain, set to open Singapore office soon appeared first on e27.